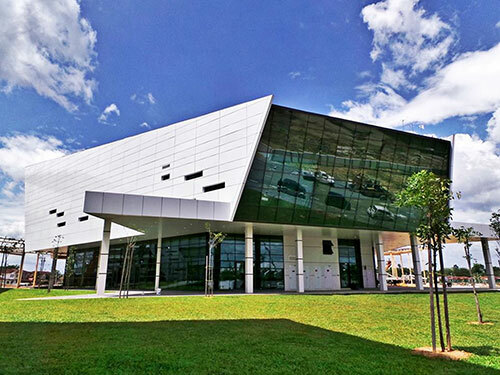 University College of Technology Sarawak (UCTS) is the culmination of the State of Sarawak's vision and commitment in establishing a world-class institution of higher learning founded on science and technology to spearhead the development and production of technical human resource for the Sarawak Corridor of Renewable Energy (SCORE). 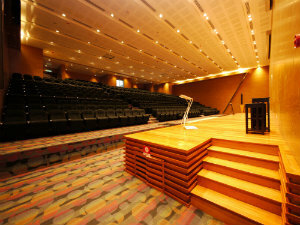 UCTS is committed to facilitating student access to an affordable world-class university education that nurtures creative and entrepreneurial leaders through a broad education in science and technology while combining the career benefits of an applied approach for SCORE-related research and career opportunities. Situated in Sibu, one of the main gateways into SCORE, UCTS is owned by the State of Sarawak through the State Financial Secretary Incorporated. It was established on 8 August 2012 upon receiving approval from the Ministry of Higher Education Malaysia (now Ministry of Education). 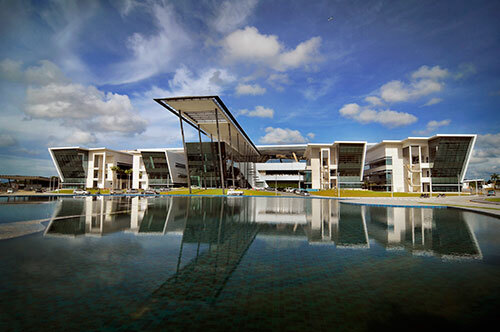 UCTS aims to be the very first university in Malaysia to achieve a Green Building Index (GBI) “Platinum Index” rating through its futuristically designed campus and state-of-the-art facilities. The campus incorporates planning, design and green architecture simultaneously and effectively to create a fully integrated, comfortable, user-friendly and conducive teaching and learning environment. Some of the green-building features incorporated are the rain-water harvesting system, recycling of waste water for gardening use, solar photovoltaic panels for electricity generation, as well as light and motion sensors for lighting. UCTS will also establish a science and technology park next to UCTS main campus to support techno-entrepreneur development and provide the high-tech infrastructure needed for industrial-based research, development and innovation activities in collaboration with other institutions and industries in the region. Over 31% of our academic staff teaching courses at degree level have a doctoral degree (PhD), whereas 49% have a master’s degree. In line with the government’s plan to transform technical education, UCTS will provide the route and opportunity for students in technical and vocational education pursuing certificate and diploma level studies that lead to applied oriented bachelor programmes and also postgraduate level studies at UCTS. Working closely with industry to adopt a broad-based curriculum with specialisation and using an applied approach towards teaching and learning with world-class facilities, UCTS will ensure that its graduates are groomed with the right values. UCTS graduates will be knowledgeable, highly-skilled and competent, market ready and able to meet the challenges of globalisation. UCTS faculty members will also undertake applied and industry-oriented research to support the development of local industries. Foundation in Arts furnishes students with fundamental knowledge and analytical skills which enable them to undertake bachelor degree programmes in non-science or non-engineering fields. About one-third of the subjects taught are to equip our students with the necessary soft skills like communication essentials, professional writing, presentation skills, etc. Foundation in Science aids in the development and inculcation of good communication, leadership and social skills, as well as high ethical values in the students. The subjects are specifically designed to prepare the students to go into science or engineering fields. Bachelor of Business Administration prepares students to enter the world of work by providing them with the knowledge and understanding of concepts, theories and approaches of business administration and management, developing leadership and teamwork skills, understanding of the contemporary business environment as well as analytical skills for decision making purpose. The programme links with FPT University, Hanoi, Vietnam. Bachelor of Civil Engineering nurtures in students engineering knowledge, analytical and problem solving skills, as well as other technical and soft skills. The curriculum is in sync with the current development of the construction industry and the engineering practices, particularly in the aspects of structural design and consultancies, construction technologies, modern tools and technical software usage, project management approaches, etc. Laboratory work that covers various fields of engineering such as structures, materials, hydraulics, geotechnical, highway, survey, etc., further equip students with practical and investigative skills. Bachelor of Engineering Technology in Electrical & Electronic equips students with the various skills necessary to adapt new scientific knowledge to new products. Technical elective subjects are offered in the senior year to provide some degree of specialisation (in high voltage engineering, automation and robotics, marine electrical and electronics), but all graduates receive a well-rounded basic education in electronic design principles. This includes an applied and hands-on based programme; extensive laboratory experience; value-added certificates and promising job placement. Bachelor of Quantity Surveying provides strong theoretical and practical foundations in the quantity surveying discipline, preparing students for the employability of construction workplace by developing generic and specific competencies. This includes the development of analytical capability, creativity, problem-solving capability and costing techniques that are essential for the long term sustainability of built environment. The programme curriculum and content closely reflect the demand of construction industry since it is developed and built upon the input of all related stakeholders, i.e. construction professionals, industrialists, academicians, statutory bodies, external examiners, etc. The programme emphasises multiple transferable skills and broad knowledge i.e. construction, technological, management, and research issues underpinning the growth of this industry. All programmes are approved by the Ministry of Education Malaysia (MOE) and Malaysian Qualification Agency (MQA). Our Bachelor of Quantity Surveying is recognised by the Board of Quantity Surveyors Malaysia (BQSM) and Institution of Surveyors Malaysia (ISM). Our Bachelor of Civil Engineering is accredited by the Engineering Accreditation Council (EAC), allowing graduates to be recognised as practising engineers under the Board of Engineers Malaysia (BEM), in conformance to the Washington Accord. Our School of Business & Management is a member of the Association to Advance Collegiate Schools of Business (AACSB) International. It is a global, non-profit membership organisation of educational institutions, businesses, and other entities devoted to the advancement of management education. Professor Dato’ Dr Abdul Hakim Juri was the founding Vice Chancellor of University College of Technology Sarawak in February 2013. Prior to his appointment, he was President and Chief Executive of Universiti Kuala Lumpur for seven years. Abdul Hakim graduated with a Doctor of Philosophy in Mechanical Engineering in 1989 and a bachelor’s degree in mechanical engineering in 1984 from the University of Leeds, UK. Abdul Hakim started his career as a lecturer in the Faculty of Engineering, Universiti Malaya. He later joined the automotive manufacturing industry before returning to education to help start up the German Malaysian Institute (GMI) in 1992. GMI was a joint-venture project between the governments of Malaysia and Germany to qualify highly skilled technologists and technicians for the Malaysian industry in the areas of precision production technology and industrial electronics. Abdul Hakim was appointed the Director of GMI in 1996 and led the institute for six years until September 2002. In appreciation of his contributions in strengthening bi-lateral relations between Germany and Malaysia, Abdul Hakim was conferred the Bundesverdienstkreuz, Federal Cross of Merits, by the President of the Republic of Germany in March 2003. In October 2002, Abdul Hakim was appointed Deputy President (Academic) to help establish Universiti Kuala Lumpur (UniKL) and later became President and CEO of UniKL in September 2005. Abdul Hakim was conferred the DSAP award by the Sultan of Pahang in October 2006.